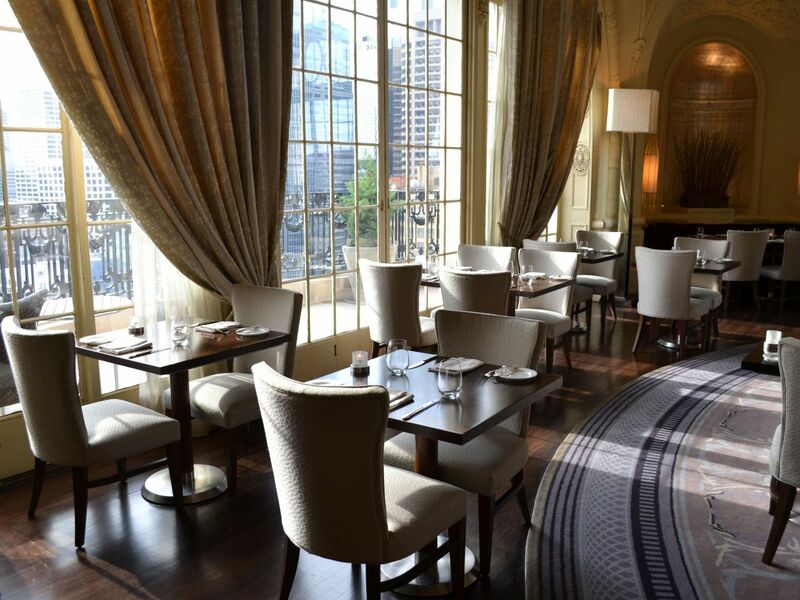 Watch the sunset from a balcony at XIX (NINETEEN), the signature restaurant at The Bellevue Hotel. Indulge in regionally inspired seafood dishes, plus staples like chicken à la King. This particular dish recalls The Bellevue Hotel’s storied past; it was invented in the 1890s by the hotel’s chef William King. Make a reservation for two at tables overlooking the Avenue of the Arts, or book the entire restaurant for wedding receptions and unforgettable private events. 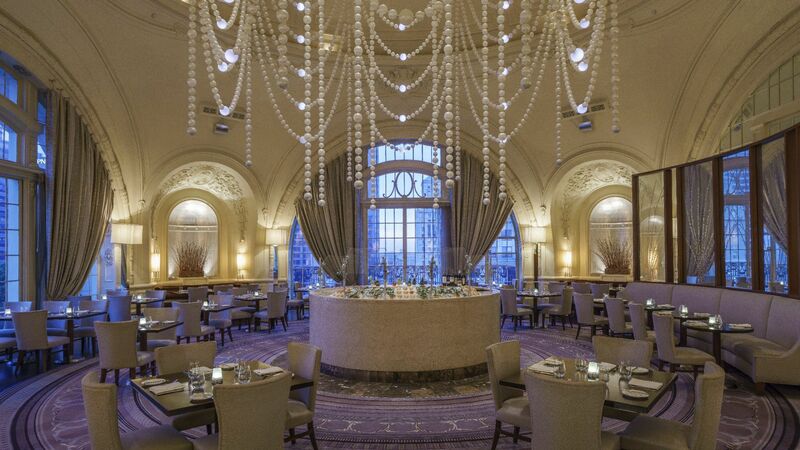 In addition to dinner and daily breakfast, XIX (NINETEEN) offers a celebrated weekend brunch. Elevate your weekend by feasting on crab cake benedict, a loaded raw bar, smoked Scottish salmon, and handcrafted desserts. Complement your feast with refreshing mimosas and Bellevue cocktails made with champagne, Courvoisier®, and Grand Marnier®. Saturday & Sunday: 11:30 a.m.–2:00 p.m. 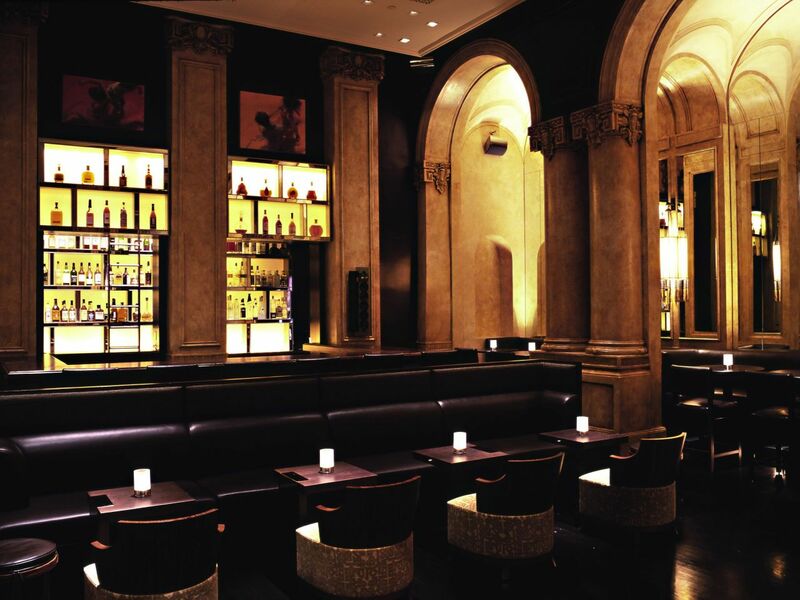 Sink into a luxurious leather booth to enjoy cocktails and friendly conversation at the bar within The Bellevue Hotel. Cozy alcoves and a cheery fire add to the atmosphere in this chic lounge, where guests can enjoy fine wine, local beers on draft, and craft cocktails with daily happy hours. Friday–Saturday: 2:00 p.m. –2:00 a.m. Whether you’re craving a stack of pancakes for breakfast or an oyster- and cornbread-stuffed trout for lunch, find them at XIX (NINETEEN)’s all-day café. 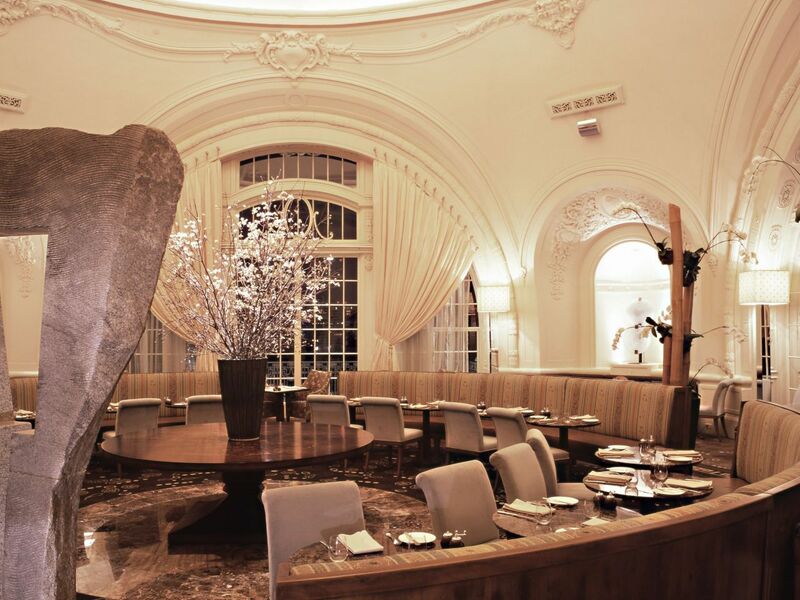 The menu mixes comfort food with elevated dishes that pair well with the refined look of The Bellevue Hotel, from the wide French doors to the European architecture. Opt for a three-course prix fixe menu, which ends with indulgent mini cakes or parfaits. Stop by over the weekend to enjoy afternoon tea in a grand setting. Seasonal menus feature sandwiches, pastries, and several tea varieties. Spring visitors, for example, will find blooming teas and edible flowers on the table to coincide with the Philadelphia Flower Show. Prices are $45 for adults and $15 for children. Please call (215) 790-1919 to make your reservation.